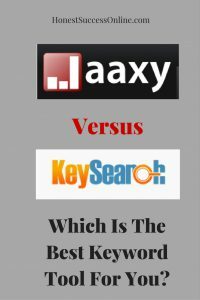 Home > Resources and Tools > Jaxxy Vs KeySearch – Which Is The Best Keyword Tool For You? 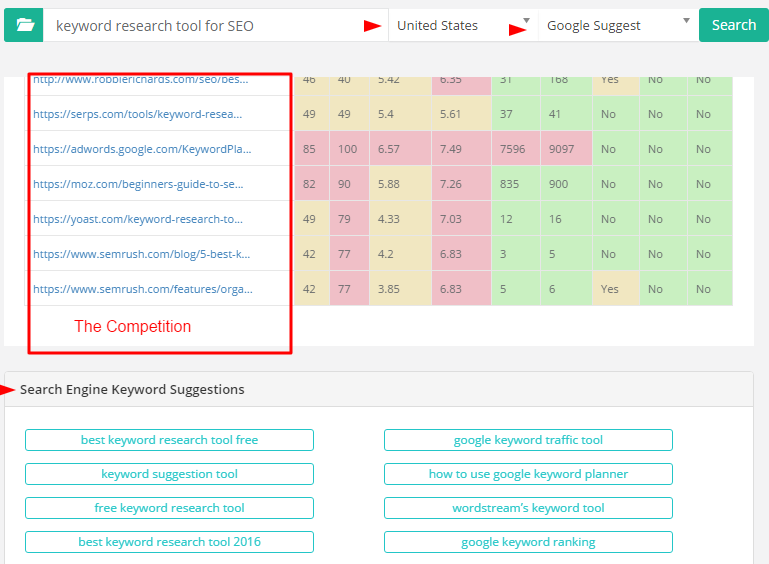 Jaxxy Vs KeySearch – Which Is The Best Keyword Tool For You? Welcome to my post-Jaxxy versus KeySearch in which I am trying to compare both keyword search tools. Find out which of these two keyword tools are best for you. To be quite honest, I set myself quite a big task because, to be frank, I like them both. At the same time, I will admit, that both tools have their Pros and Cons which I will go into more detail later on. I won’t be explaining Jaxxy and KeySearch in every little detail since I already reviewed them both. Here are the links: Jaxxy and KeySearch. What I will do though is going through the main features of J and KS and will compare them to each other. My review is based on Jaxxy Pro which costs $19/month and KeySearch Starter priced at $17/month. Finally, I will check out how these tools may benefit you and lastly give you my verdict. Jaxxy had been created by Kyle and Carson, the owners of Wealthy Affiliate. Over the years, Jaxxy has seen a few changes regarding features. 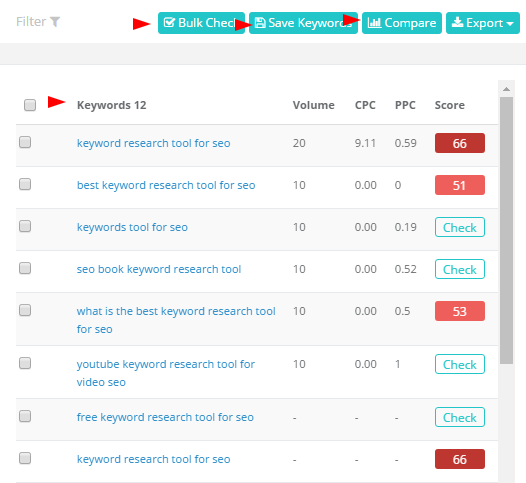 It is a user-friendly and intuitive keyword research tool. The info this tool provides is easy to digest, and I find its use beginner friendly. I have been using Jaxxy for quite some time and love how quickly I can find long tail keywords with good traffic and low competition. Jaxxy has been a helpful tool for brainstorming and finding ideas for fresh content for my websites. Keyword Research – What Information Do I get? One of my favorite features (marked in the green box) is the brainstorming area. It shows you related keyword phrases you can research regarding traffic etc. but these suggestions are brilliant to find ideas for your next posts. It helps to think ‘outside the box’ so to speak. This one is such a cool feature since you can quickly find affiliate programs for your keyword. It is particularly useful when you are researching a niche website idea. It shows you which sites/pages are listed in the top 10 positions of Google, Bing, or Yahoo. I rarely use it for my everyday keyword research, but I find it extremely helpful when I am looking for a new niche site idea. Even though I am not too worried about the competition, but if you want a profitable niche site then it is better when the competitors are easier to tackle. You want to know who the competitors are and the page rank of pages for your targeted keywords. KeySearch is quite a young tool since it only got launched earlier last year. It was developed by Dan Pfeffer and is increasingly becoming more popular with internet marketers. I heard great things about KeySearch, and since you can try it for free, I gave it a go. I don’t know KeySearch as well as Jaxxy, but from what I have experienced it is an awesome tool. I must admit, it is not as beginner friendly as Jaxxy. It took a bit of a learning curve to discover all the features and really using them to my advantage. The training tutorials inside KeySearch are helpful and easy to understand. Once you get the hang of KS, there is a lot of information to take in. On the left-hand side of the screen, you can see the difficulty score again plus Google Trend Analysis, the SERP competition including DA, PA, links and if the keyword phrase is in the URL and title. If you scroll down, you will find some more keyword phrases (long tail keywords). Overall, on one page is a huge amount of information to digest.That’s why I feel KS is more suitable for advanced users than for beginners. Overall, these are very extensive features with lots of extras like the YouTube Research and Browser Addon. They are quite a few similarities but also some differences. The metrics Jaxxy is showing are very different to the ones you can find on KeySearch. Which competition numbers and metrics are relevant to you is a decision you have to make for yourself. The score of CPC and PPC is an indication for a profitable keyword e.g. is it a buyers keyword etc. That is the emphasis in KS. The focus in Jaxxy is the QSR (Quoted search result), the monthly traffic and the SEO power. For me, these metrics are more relevant to me and is information I can relate to. I also noticed in KS for certain keyword phrases small or zero search volume. For instance, when I searched for ‘Jaxxy Review’ I got zero volume. The same result for ‘KeySearch review.’ I am not too sure what is happening here. Finding low competition keywords (also known as low hanging fruit) is my primary focus when I do my keyword research. And hands down, Jaxxy is my winner in this category. It is intuitive, user-friendly and I can find these precious keywords in a matter of a few minutes. 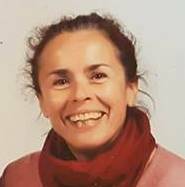 In KeySearch it takes me longer (maybe because I am fairly new to this tool) and I am feeling a bit overwhelmed by the vast amount of information that is presented to me. Jaxxy and KeySearch are both web based which is fantastic. That means I can access both tools from any device from anywhere in the world. Thumbs up! I can’t comment on it because I didn’t need any support yet. But to be fair, I can’t actually find a support area on the Jaxxy dashboard. KeySearch offers a ‘help’ search bar and you can also submit a support ticket. Thumbs up for KS! For getting help on how to use the particular tool, KS has excellent tutorials available as well as videos.The same applies for Jaxxy. Thumbs up for both! The Rank Tracker is in both tools quite similar. When it comes to the Search Analysis, the metrics are a bit different. Since competition is not my main focus, it is equally okay for me. I like what Kyle said in a webinar about how to be successful in an online business – View yourself as the competition. You are the competition! It is always possible to outrank those websites with more domain authority etc. Give yourself time to grow and improve your site. KeySearch has an advantage to Jaxxy with their YouTube Research, the LSI keywords and the country related search option. So if you target the market in the UK, Germany, or Vietnam – KeySearch has 32 different countries you can do your keyword search for. Thumbs up for KS! The keywords can easily be organized and saved in files which you can export as CSV or text. In KS, you can also download your list as PDF. Both keyword tools have free trials with no strings attached. You don’t need to provide any credit card or other payment details. Jaxxy offers two options (besides the free trial) Jaxxy Pro for $19/months and Enterprise for $49/month. The Enterprise plan comes with a few more perks but in my opinion, the Pro plan is sufficient for everyday use. 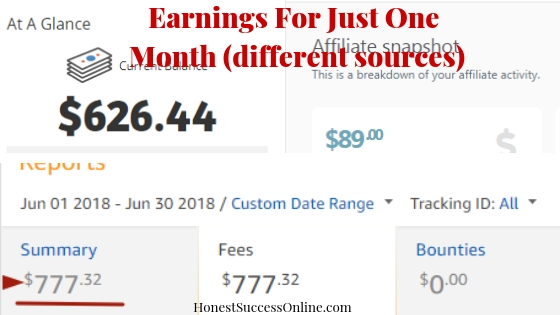 Let’s face it, $49 a month is quite a lot of money especially when you just starting out. KeySearch has a few more options besides the free trial. The starter plan is $17 a month or $169 for a year. The Pro plan costs $34/month and annual $279. In my opinion, the starter plan is good enough, no need to spend more money. The good news is that KeySearch also offers a recurring discount of 20% on all their plans.That brings the price down to $13.60 for the monthly starter plan. The code for the discount is KSDISC. Regarding prices and affordability, KeySearch is the winner. Well done, you made it. There was certainly a lot of information and you probably are still wondering which of these keyword tools is best for you. From my experience, Jaxxy is better suited for beginners and people who want a straightforward, quick and easy to use keyword research tool. Jaxxy is fantastic for finding low competition keywords, keyword related affiliate programs, and finding new content and ideas for their websites. KeySearch is suitable for advanced users who are looking for profitable keywords, who need to know more about their competitors but also for users who are targeting different countries. KeySearch is also great for discovering new content ideas and finding niches for their next website. The metrics both search tools are using are different and you will have to make a decision which competition numbers are more relevant to you and your online business. When it comes to costs and support, KeySearch is more affordable and has a support team in case you run into problems. My general advice would be to eventually settle for one of these search tools, otherwise, it can be a bit confusing and also time-consuming to switch from one tool to the other. Whatever you decide, I know it’s a tough one, you can try them both for free and see which one is best for you. I’d love to hear from you. Have you experienced Jaxxy or KeySearch? What do you like/ dislike? Please leave a comment below. Please note: this post contains affiliate links. I may get a small commission if you make a purchase through my links at no extra cost to you. That will help to keep this site ad free. Thanks for your support.